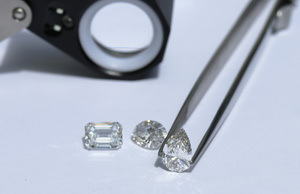 Members of the Trade: Ada Diamonds does NOT offer wholesale pricing. It’s important for you and partner to be on the same page regarding lab grown diamonds, our process, and your budget. Our most successful client engagements are those where the decision maker/purchaser is involved from the start. Not ready for a couple's consult? That’s OK! When the timing is right, we’ll be here to help.